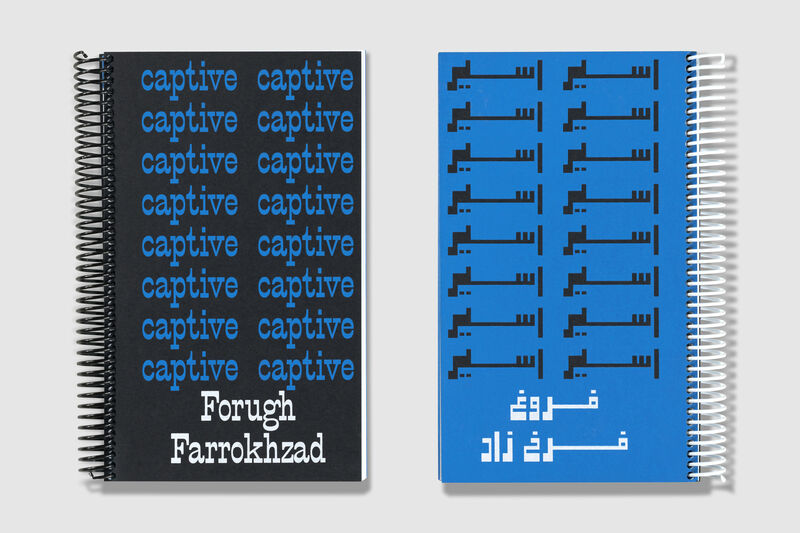 Asir (Captive) is the first collection of poems by Iranian poet Forugh Farrokhzad originally published in Iran in 1955. 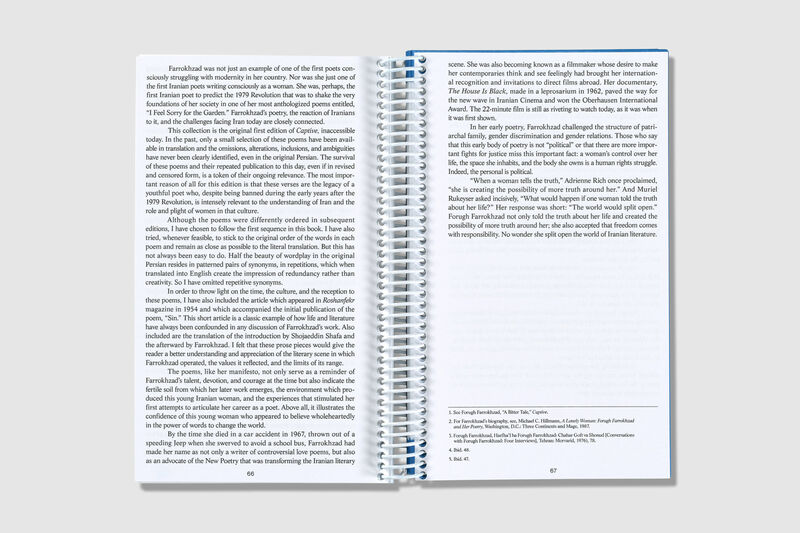 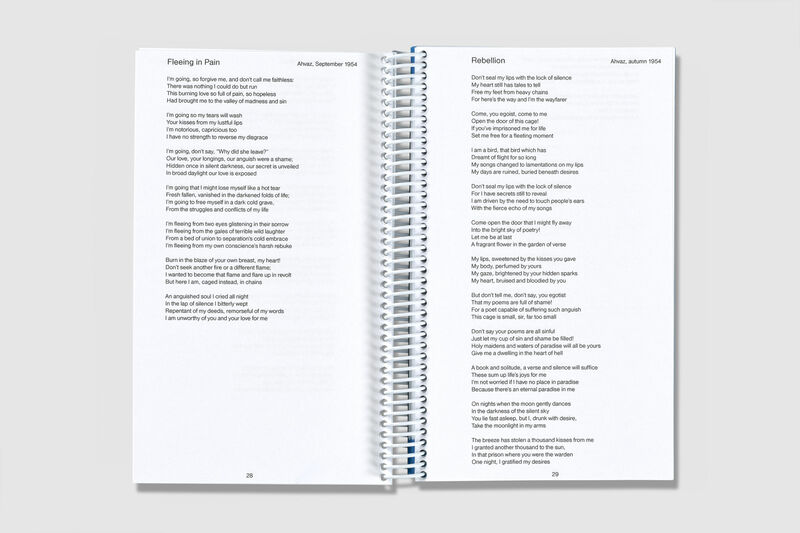 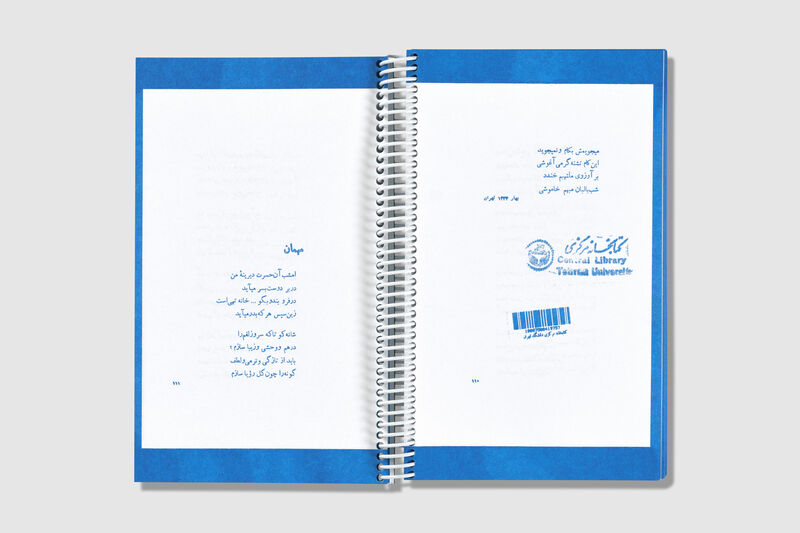 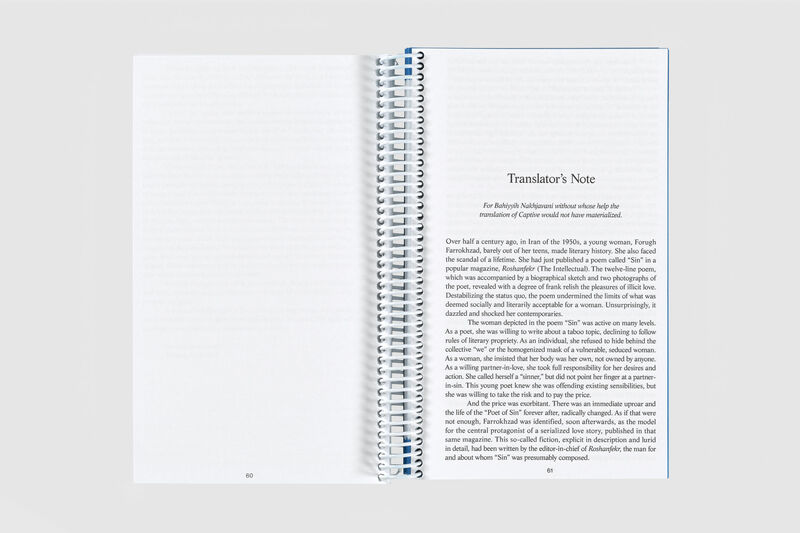 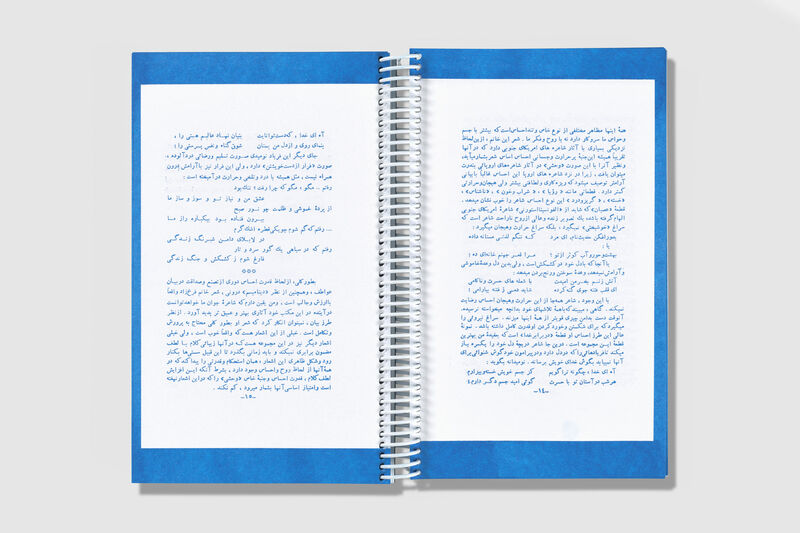 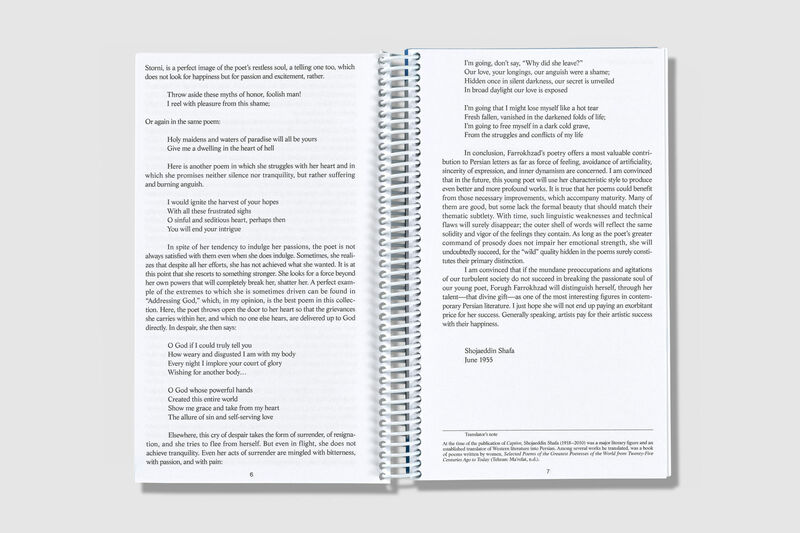 This billingual edition (English and Farsi) published by Rhombus Press presents to a new generation of Iranians as well as a new audience of English speakers, a facsimile of the extremely rare first edition, first printing accompanied by an English translation. 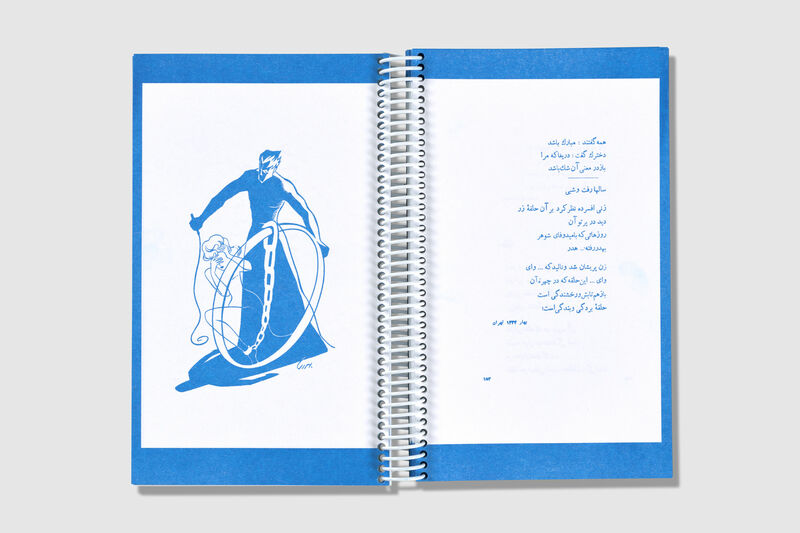 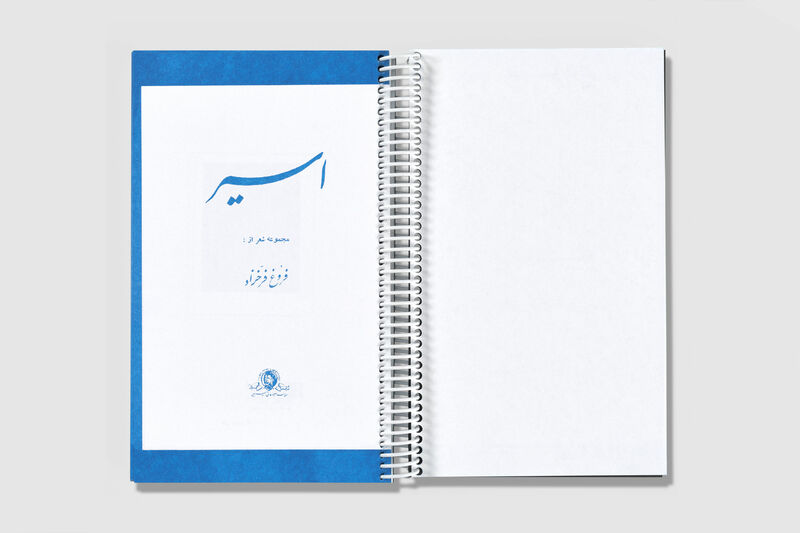 The first edition, first printing of Asir from 1955 includes 41 poems, an introduction by Shojaeddin Shafa, a clarification by Farrokhzad and 11 illustrations. 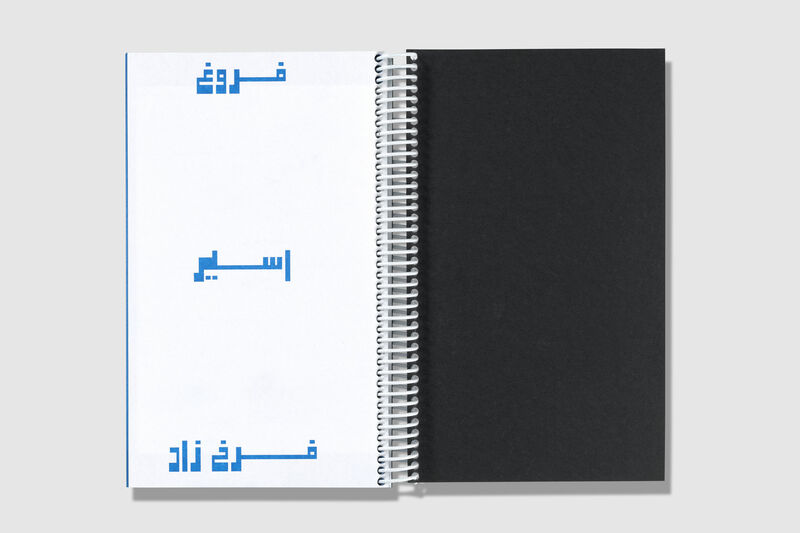 No subsequent printings of this publication have ever been the same. 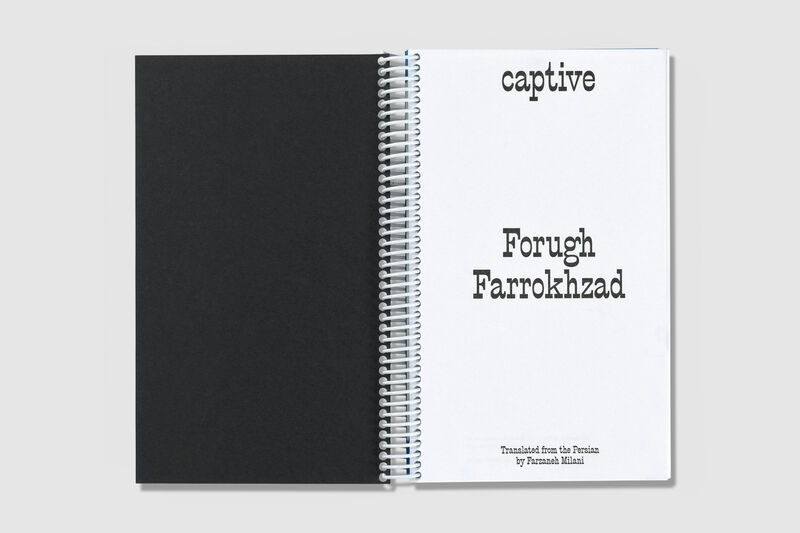 The English translation also includes a translator’s note and a 1954 article from Iranian literary magazine Roshanfekr (The Intellectual).